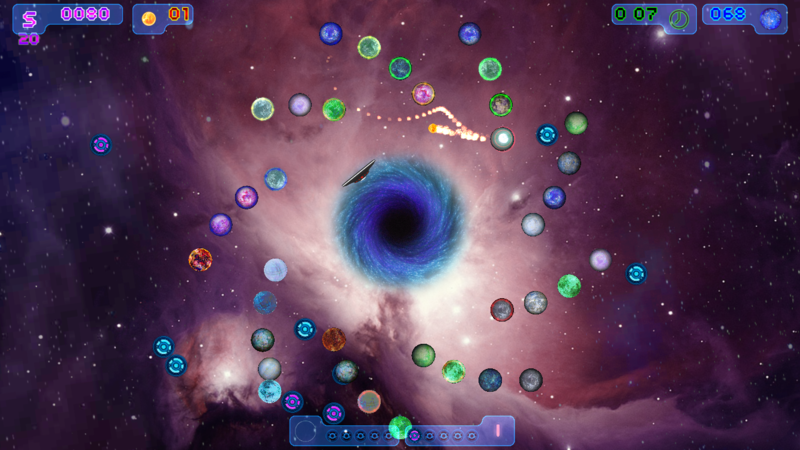 Gravitational Hole is available on App Store — Welcome to the GameSalad forum! Hello guys! My last game is available for free on App Store , hope you like it! How much time I needed to make this game 2mounth ? or above ? Nice concept. Unfortunately...there are so many interstitial ads it's unplayable. You are shooting yourself in the foot. I saw two ads before even getting to play anything at all. Deleted. If you want to play or pay or view ads. I don't make a present for the world of players. you're missing the point. He didn't say remove all ads just change the frequency or the positioning but whatever. Had the same irritation. Good luck with that. The concepts is you can't analyze the game if deleted it after two ads. During the game there are not ads. One ads before play and one at the game over. One match during 3 or 5 minutes. I liked the gameplay. It's fun. I just found that there are too many ads. It is really important to find a good balance with this. The reason I say it here is because I think by putting too many ads you are hurting yourself and the game. Exactly because you put so much of your free time into making the game (all of us here are in the same boat), it is important to make sure people come back and play it. The concepts is you can't analyze the game if deleted it after two ads. Well said. If 1 million people download it, but then delete it almost immediately, you still won't make money. The only way to make money is to make your players happy and come back to play more. I like the game. Agreed. Two video adds before the the game is not the store norm. Thanks for advice. t's a good point of view.But I have few downloads, less ads... less money..I reflect on it. No, less ads, MORE money. That's what I'm trying to tell you. It might feel counter-intuitive. But returning customers are always the biggest driver of ad revenue. Too many ads too soon, I saw two ads before I was able to play. Also I suggest adding auto rotate, I hate not having the option to hold the device the way I want. Also I suggest adding auto rotate, I hate not having the option to hold the device the way I want. Agree. So many developers here force me to turn my iPad upside down in its faux leather case just because they neglect to check auto rotate in Publisher.